How can I extract large images from PDF file with A-PDF Image Extractor? I just downloaded a PDF file from a tourism website and I like the images of beautiful sceneries as well as other fancy treasures. I want to collect these nice looking images but I don't know how to extract them. Besides, I just want the large size images because the small size ones are too small. So how can I get the large size images from the PDF? Can A-PDF Image Extractor help me with this? 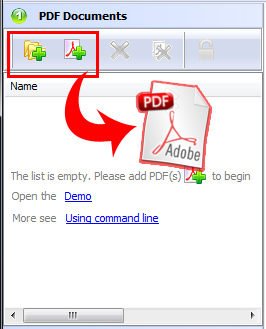 Click "Add PDF documents" or "Add directory to list" to add PDF documents. In the Extracting Option section, select "Only extract large images". 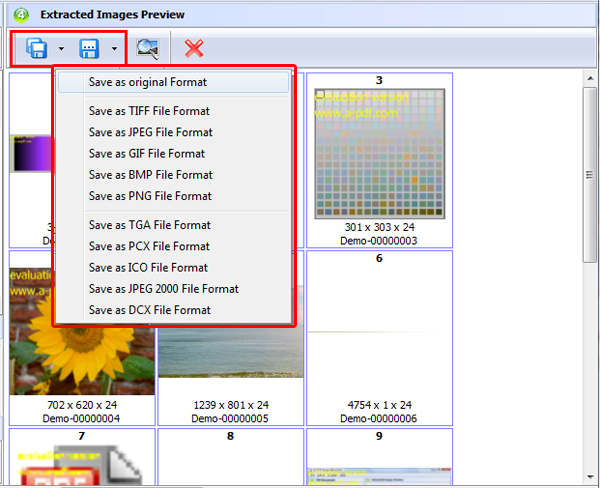 Click "Extract All" or "Extract Selected" to extract large size images from all or selected PDF files in the list. After you click "Extract All" or "Extract Selected", you will see images list in the Preview box. Click "Save all of images" or "Save selected images" to save the extracted images. And you can save the extracted images in original format or other formats.